Oh sweet cupcakes! 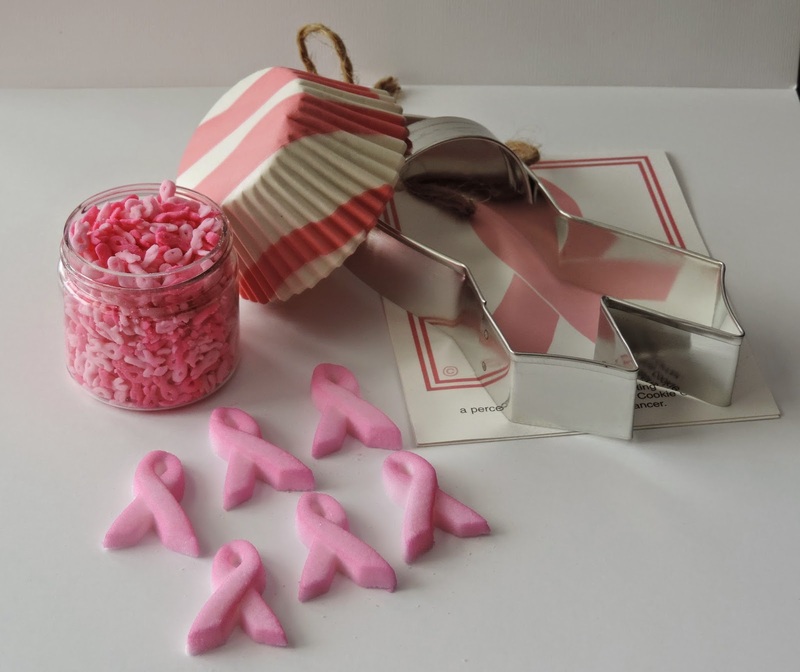 After receiving a package of zebra pink cupcake liners, breast cancer sprinkles and other cupcake goodies from The Creative Baking Shop, I couldn't wait to start baking and this review! Even though I am far from a baker, I do enjoy making sweet treats here and there! Today I used unsweetened applesauce instead of butter/oil in the boxed cake directions. I couldn't tell the difference in taste, and isn't it a great feeling to save any extra calories in the sweet treats department. My favorite product was the breast cancer sprinkles...uh can you say CUTE! Plus, they tell a great story to whomever you decide to share the goodies with :) I won't tell if you eat three or four all by yourself ;) Another favorite product was the adorable zebra cupcake liners. The pink/white added the perfect girlie touch. Mmmwah! Best part about the products from The Kreative Baking Shop was that everything came without being broken! I appreciate when companies spend the extra time and money to bubble wrap delicate products. Make sure to check out The Kreative Baking Shop. The store is loaded with adorable and affordable baking goods! My favorite Christmas pick from their shop is the Jumbo Red and Green Sprinkles - AH! Those would look perfect on any Christmas sugar cookie. Best part is the bottle is only $2.50! Now that's a good deal for cute sprinkles! Now to the final giveaway for Breast Cancer Awareness month. Special thanks to The Kreative Baking Shop for sponsoring this giveaway. The winner will receive a four ounce bottle of pink ribbon sprinkles, 12 pink ribbon sugar dec-ons, pink ribbon cookie cutter and pink /white zebra baking cups! Now that's a bakers dream giveaway! Don't forget to read the terms and conditions below! The one winner will receive a four ounce bottle of pink ribbon sprinkles, 12 pink ribbon sugar dec-ons, pink ribbon cookie cutter and pink /white zebra baking cups. Anyone wanting to enter must live in the United States. Refer to the giveaway for details on the opening and closing dates. The winner is chosen randomly and will be announced two days after the giveaway closes. I was not paid to write or host this giveaway, however I did receive a free sample from The Kreative Baking Shop. All thoughts and opinions are my own. Ohh I love all the baking kits. I really like the Valentines Day Decorating Kit. I really love the Bats and Pumpkins Sprinkle Mix. It's perfect for my Halloween treats. CONNIE SOWARDS commenting: I like the Spider Web Cookie Cutter...such a fun shape! I love the unicorn cookie cutter. My daughter is obsessed with unicorns. Wow - they have tons of awesome stuff there - my favorite is the Skull Oreo Cookie Mold - my kiddos would absolutely LOVE that. I love the Turkey & Pilgram Hat Edible Sugar Dec-ons! So cute! Love the tie cookie cutter! I like the tie cookie cutter. I like the Fall Sprinkle Kit.